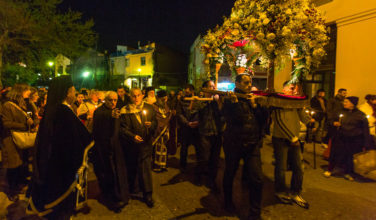 What Does "Christos Anesti" Mean? 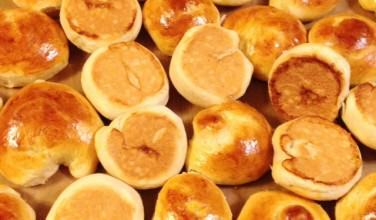 Written by GreekBoston.com in Greek Easter Traditions Comments Off on What Does “Christos Anesti” Mean? 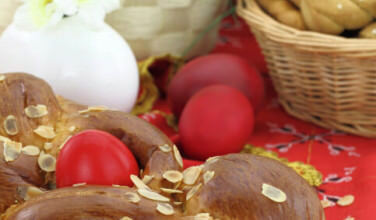 During Easter, there are some typical greetings that Greek Orthodox Christians say to one another. These greetings are said after the Saturday evening and early Sunday morning church service. During the Holy Saturday service, we essentially mourn Christ’s death. During the portion of the service that takes place early on Sunday morning, we celebrate His resurrection. The greetings we say to one other reflect this celebration. Easter, or Pascha, is a time for us to celebrate Christ’s resurrection. There are a few typical things that we say to each other during this time, and we typically say them not only during Pascha, but also for forty days after it. 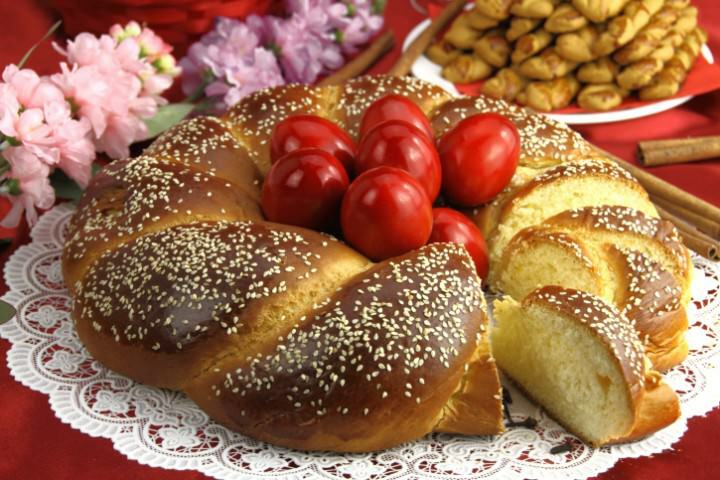 Kalo Pascha (Καλό Πάσχα!) 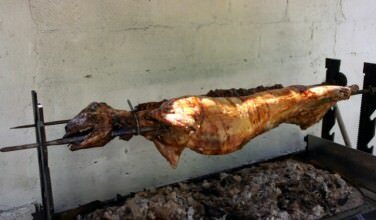 – This is the Greek equivalent of “Happy Easter”. Literally translated it means “Good Pascha” or “Good Easter”. Alithos Anesti (Aληθώς ανέστη!) – This is the response to the phrase, Christos Anesti. It means, “Truly, He is Risen.” You only say this to someone who has just said, “Christos Anesti” to you. 6But he said to them, “Do not be alarmed; you are looking for Jesus of Nazareth, who was crucified. He has been raised; he is not here. Look, there is the place they laid him. He has trampled down death. and to those in the tomb he gave eternal life. This hymn is sung not only during the church services on Sunday, starting in the early hours of Sunday morning, but for forty days after Pascha.